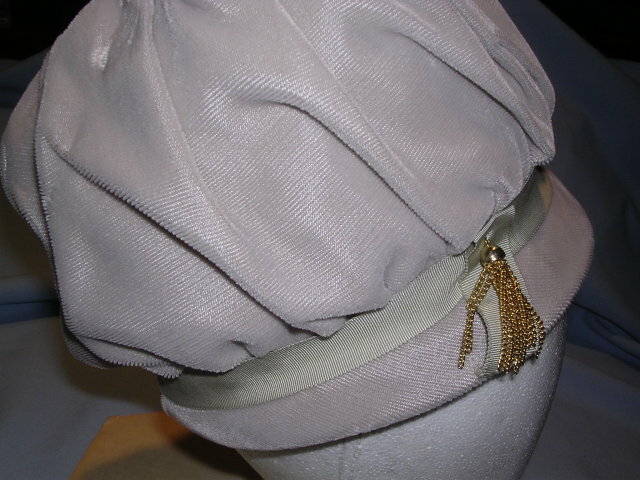 Lovely Vintage Beige or Bone Velvet hat with gross-grain ribbon band and gold metal tassel. The inside is lined with a stiffen mesh to hold the puff on the top. 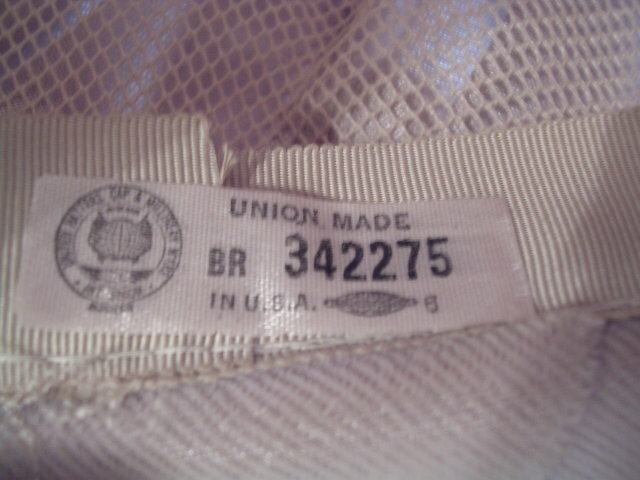 Label reads Union made BR342275, Made in the USA. Hat is in excellent condition. 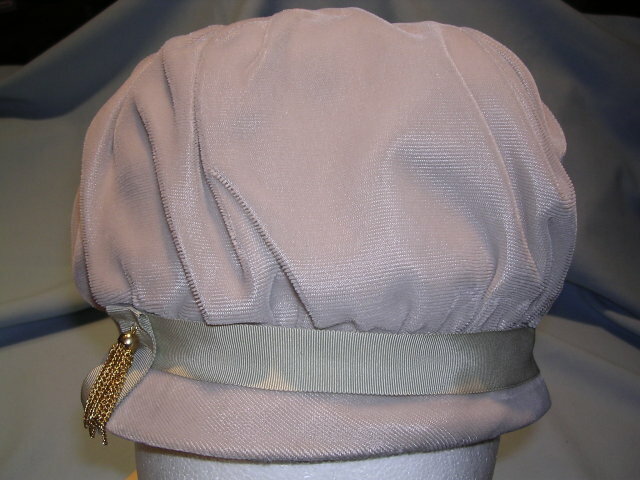 Items Similar To "VINTAGE BEIGE VELVET LADIES HAT WITH TASSEL"